We’ve reached a crucial point of transition in the annual calendar. November to December. Thanksgiving to Christmas. Real world to holiday world. Most importantly, Movember to Winter Beard. You’re feeling good with your Movember scruff, right? A chance to let the beard hair down. And now you’re supposed to shave it?! The Winter Beard is your savior. The opportunity to hold onto your bearded freedom – at least until April. If you’ve missed my previous love of facial hair, peep the links below. 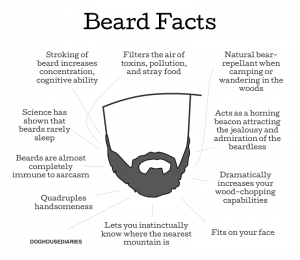 But to start, let’s do a quick refresher on why beards are the dopest of the dope. I dig a good beard. Especially during the chilly winter months. I’m not alone is this love. Here’s a groovy website dedicated to “the celebration of The Beard” – BeardRevered.com. In fact, the December Beard is now a thing. Despite my longstanding beard love, I’ve never taken the time to understand how to properly grow, groom and care for the winter whiskers. 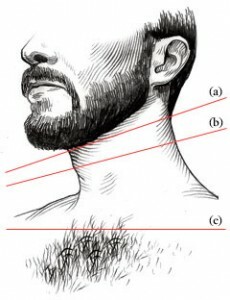 Seems the start of Winter Beard season is the perfect opportunity for some facial follicle edification. 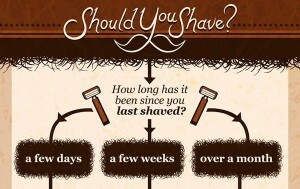 To start, we need to be honest with ourselves – Should you shave? Use this handy infographic/flowchart to determine if you’re a candidate for a Winter Beard. We can’t all be beardos. The Science of Facial Hair: What Signals Do Beards, Stubble and Mustaches Send to Others? 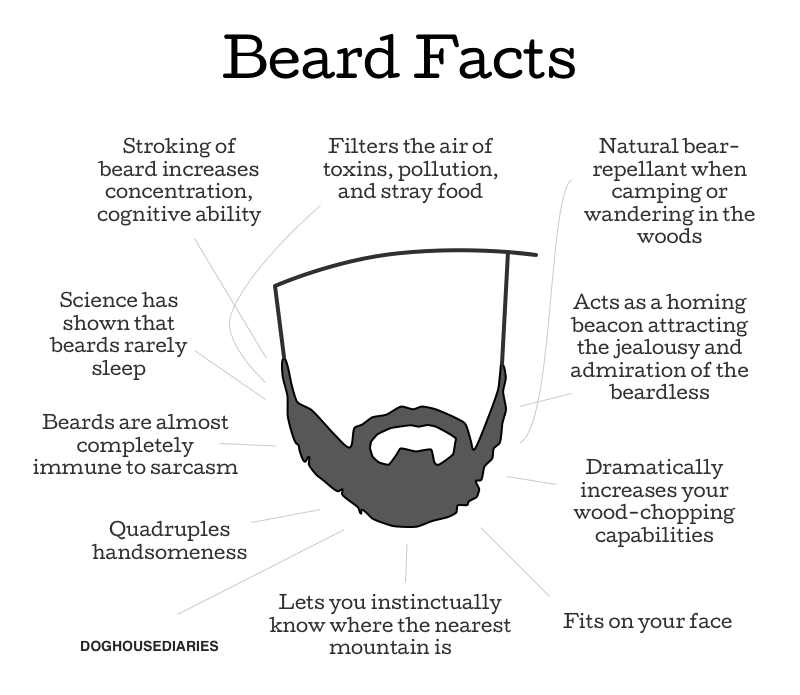 Alright, the world is going to love your brawny beardedness. But how do you take care of your new companion? Keep it trimmed. Keep it hydrated. Keep it looking sweet. Your beard is a piece of art. Treat it with the respect it deserves. How To Trim Your Beard; with Joey Tasca from Freemans (coincidence – no way! Beards = freedom) Sporting Club Barbershop – thanks Birchbox. How to Shave Well; with Charlie King from London Barbers – gracias Mr. Porter. 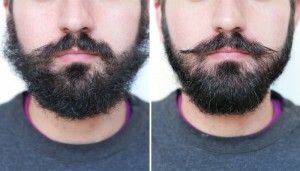 GIF Guide How To Tame a Wild & Bushy Beard – hat tip Birchbox. Traditional Art of shaving – Found on Huckberry. I’ve mentioned these rad dudes before. Start following. Awesome gear. Sweet deals. Keep your beard from getting weird with Beard Buddy. Found on The Lodge– great dude stuff. More grooming from The Lodge. The beard shop at Kaufmann Mercantile – classic quality dude stuff. Shaving gear from Gear Patrol – great recommendations from a great dude site. 13 Tools for Taking Care of Your Face – surprisingly good from Thought Catalog. Baron Safety Razor – murdered out safety razor, found on Cool Material – another sweet dude site. This entry was posted in Facial Hair and tagged beard, care, December, Dude, groom, grooming, Movember, winter, Winter Beard. Bookmark the permalink. If you’re asking, what is the best safety razor? In this guide you’ll find the best safety razor that fits your needs with pros and cons of each razor.